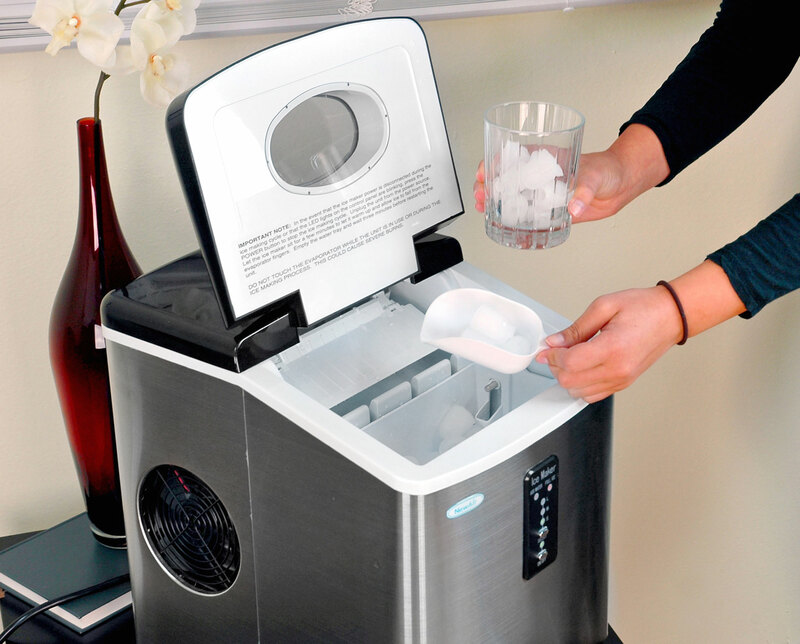 Keep drinks cool at your next party with a NewAir AI-100SS portable ice maker! 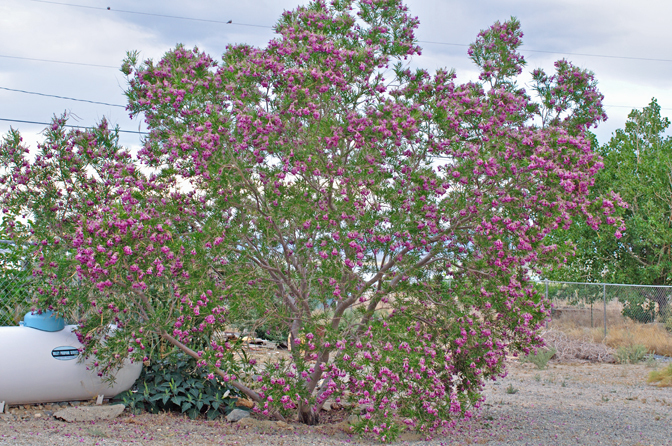 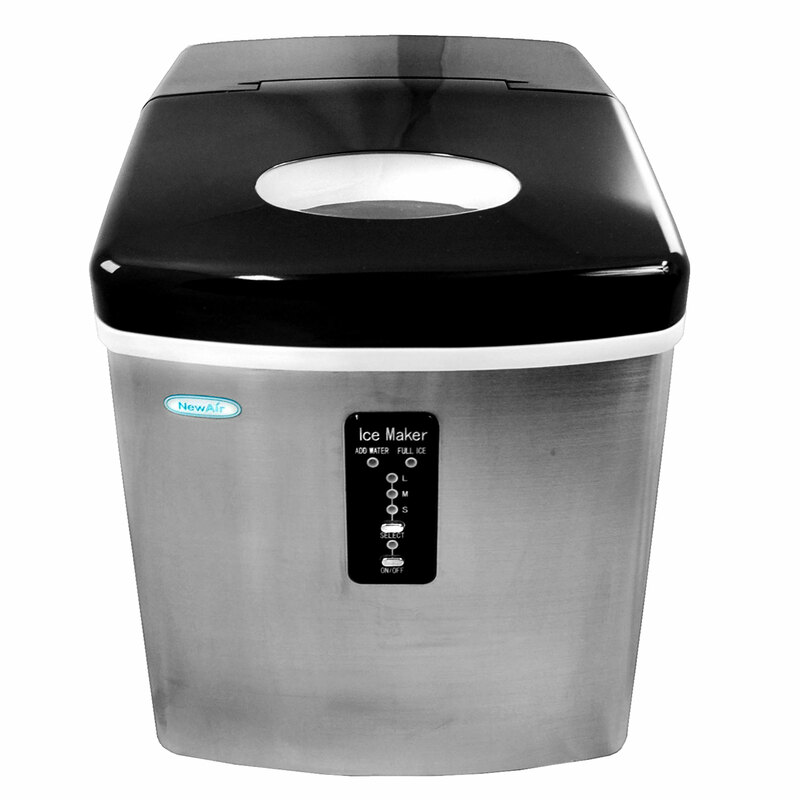 It makes up to 28 pounds of ice per day, which is sure to provide plenty of ice for your next barbeque or dinner party. 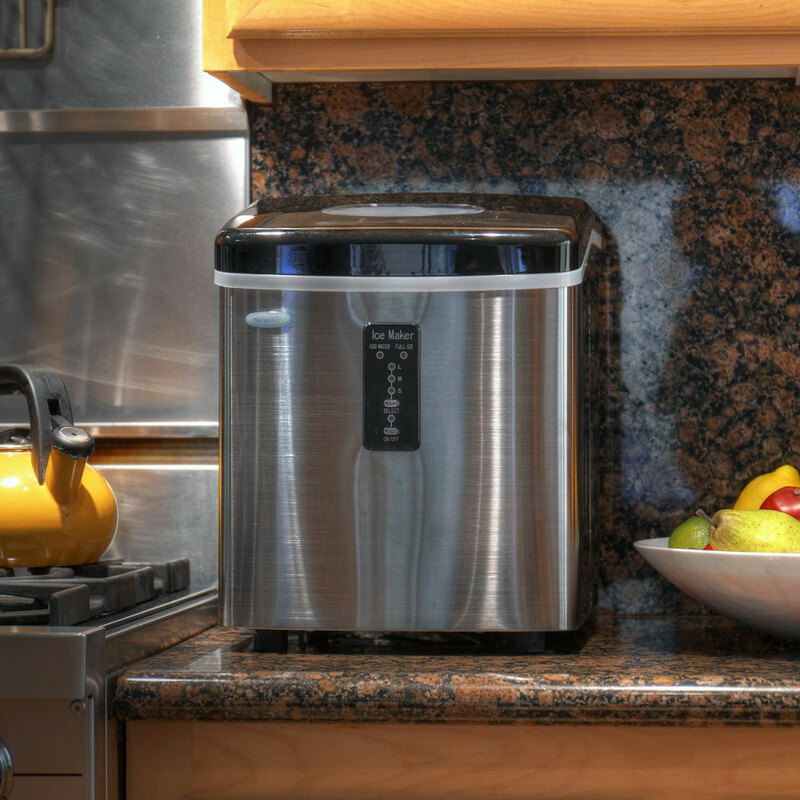 Plus, with its compact size, you won't have to worry about it wasting valuable counter space in your kitchen! 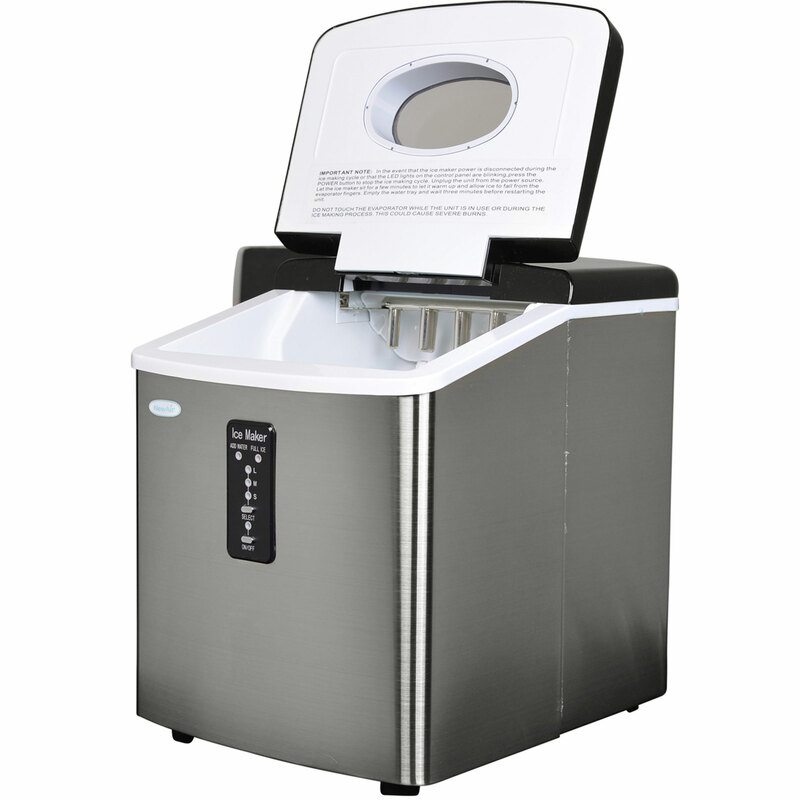 The compact NewAir AI-100SS portable ice maker fits neatly in limited space. 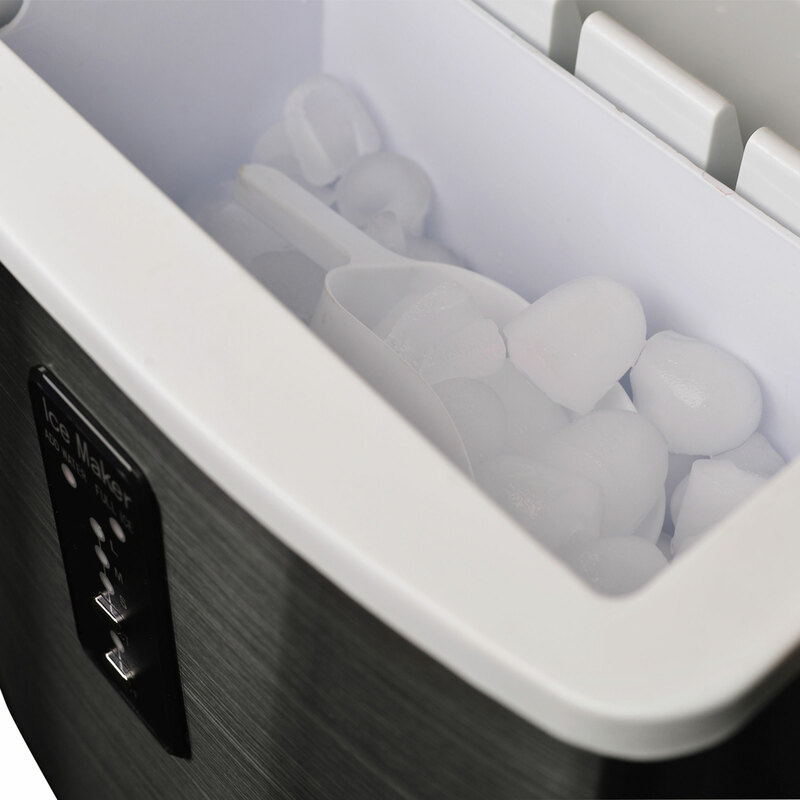 It's perfect keeping ice on hand in compact kitchens or for placing on the countertop next to your in-home bar! 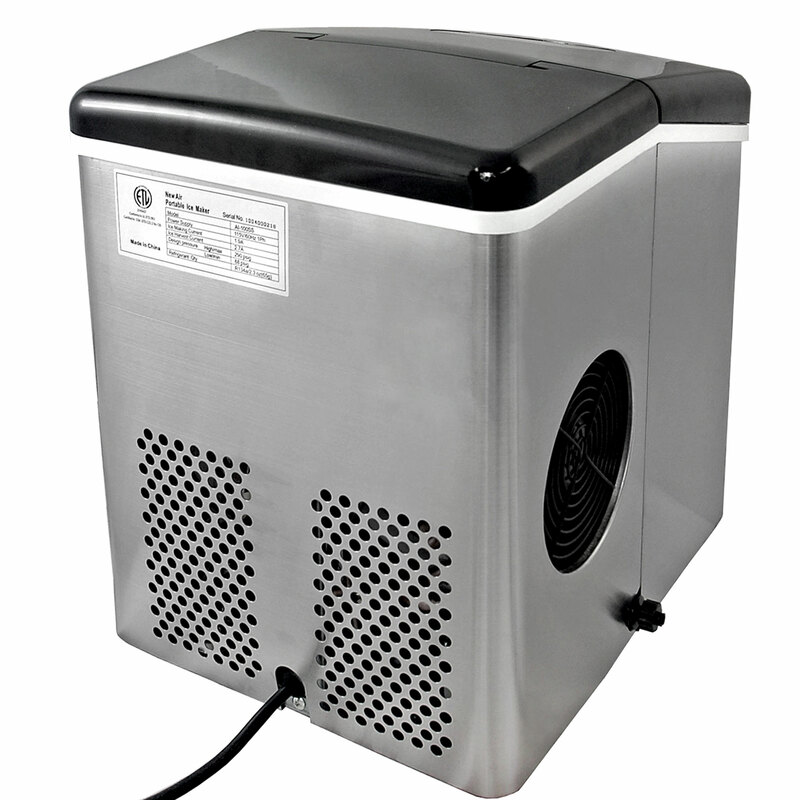 Get fresh ice every 6 to 15 minutes! 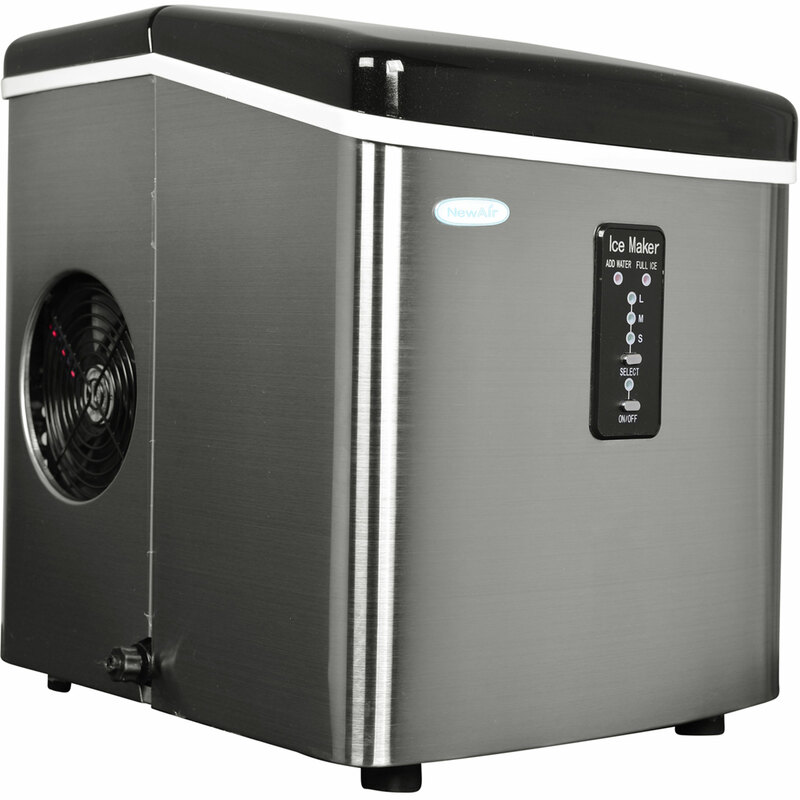 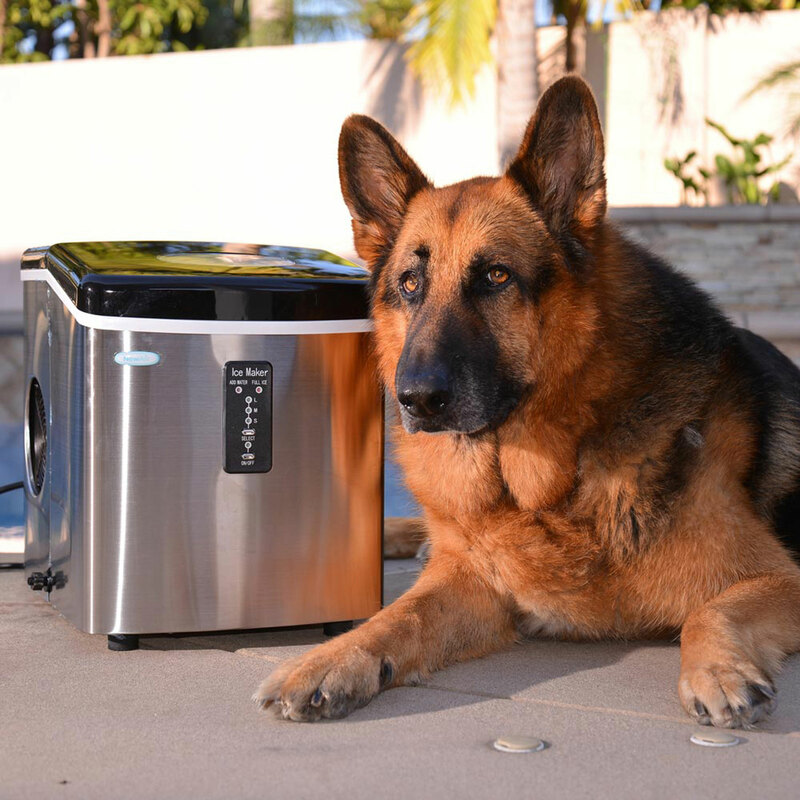 The NewAir AI-100SS portable ice maker can make up to 28 pounds of ice a day. 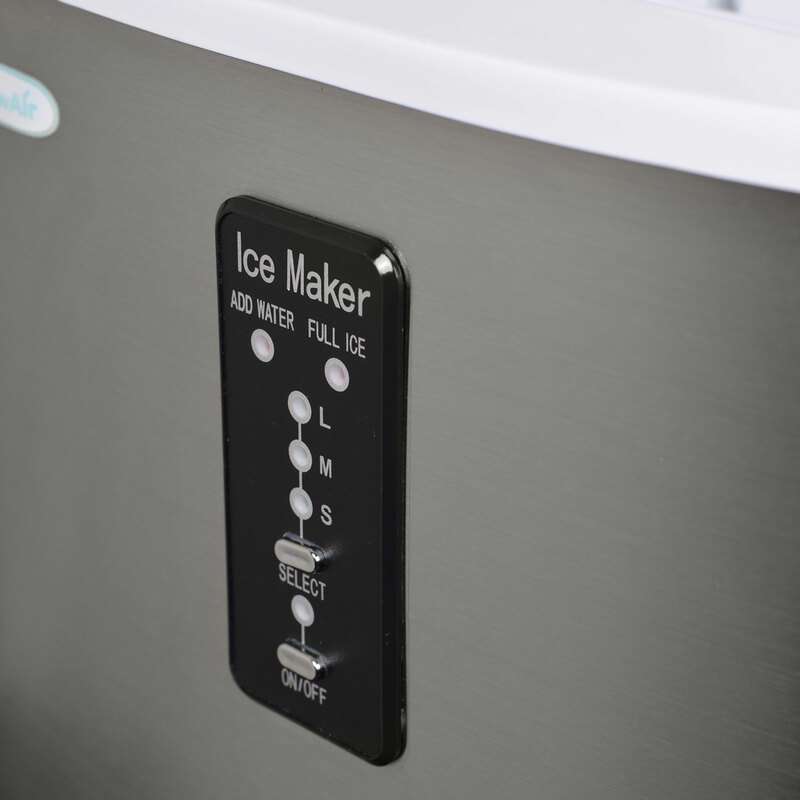 Select from three ice cube sizes using this unit's easy push button control panel. 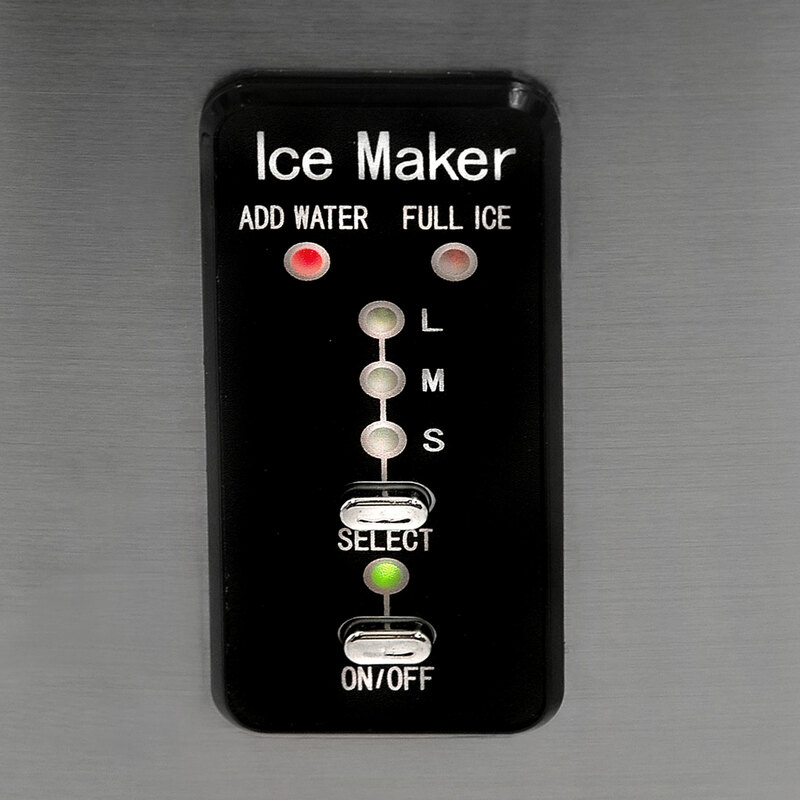 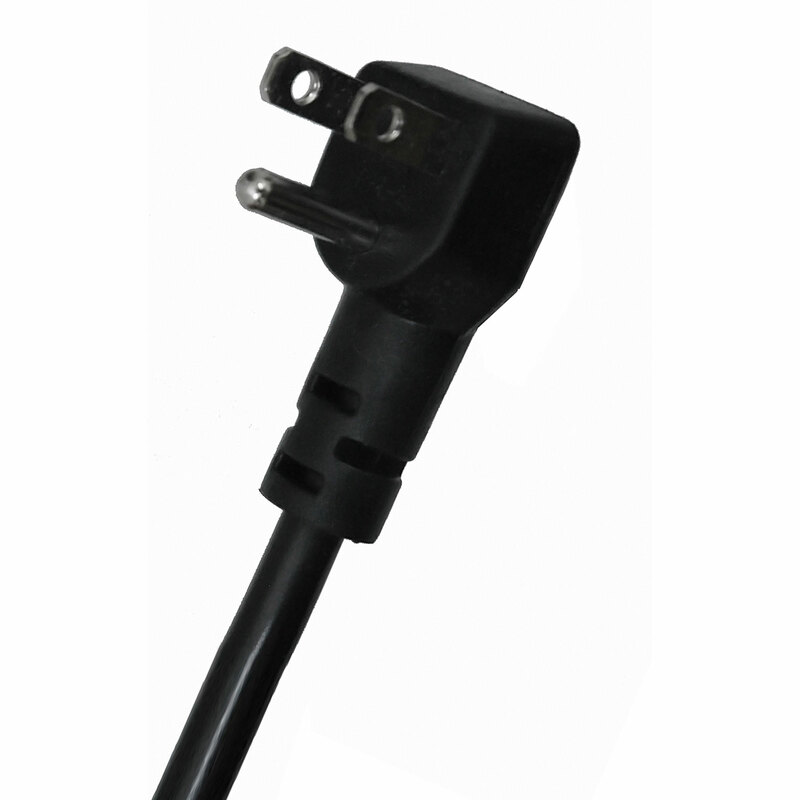 Indicator lights flash to let you know when you need to add water or empty the ice basket. 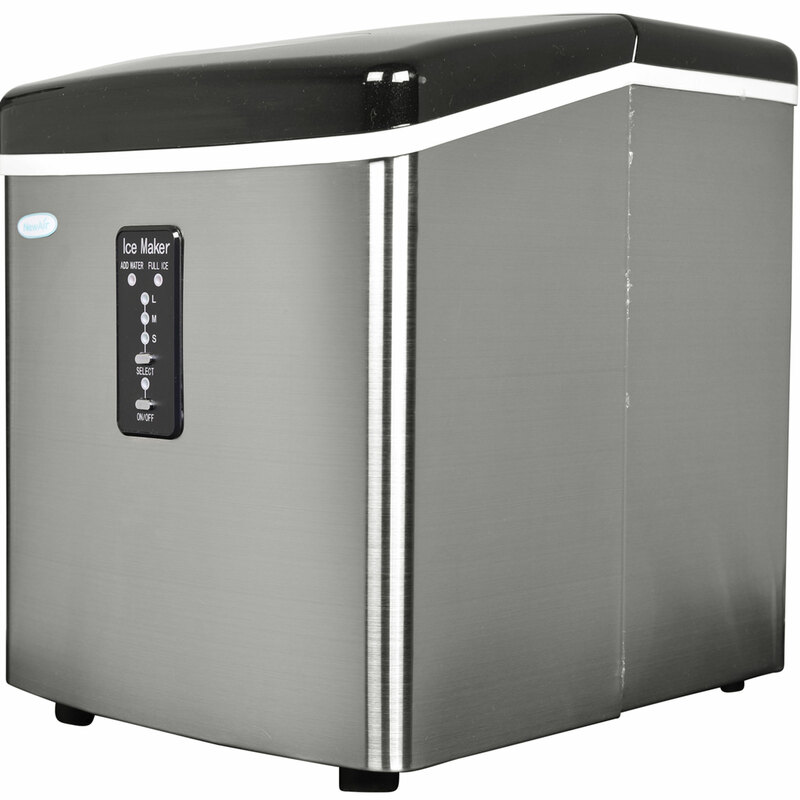 Enjoy peace of mind with the NewAir AI-100SS stainless steel ice maker, which comes with an automatic shut off feature. 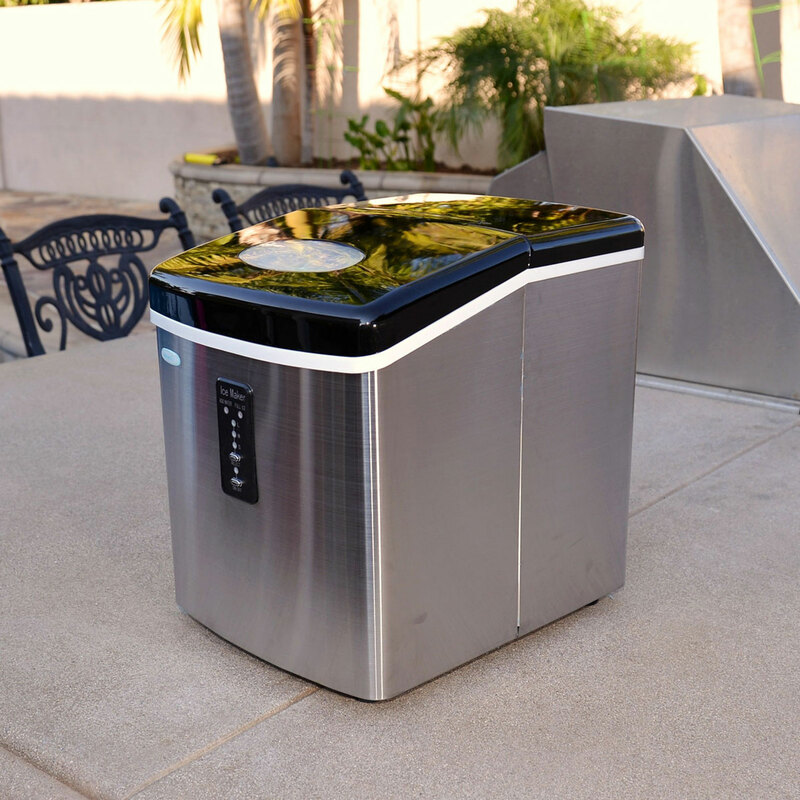 The unit will automatically shut off if the water tank is empty or if the ice bin is full.